CBN to the Rescue! Yoda Kush x Kosher Kush is 20% Off! Have you heard of CBN? CBN is a cannabinoid that has sleep-inducing, sedative properties, and it's featured in our Weed of the Week: Yoda Kush x Kosher Kush! This strain is masterfully grown by our friends at Altona Farms. 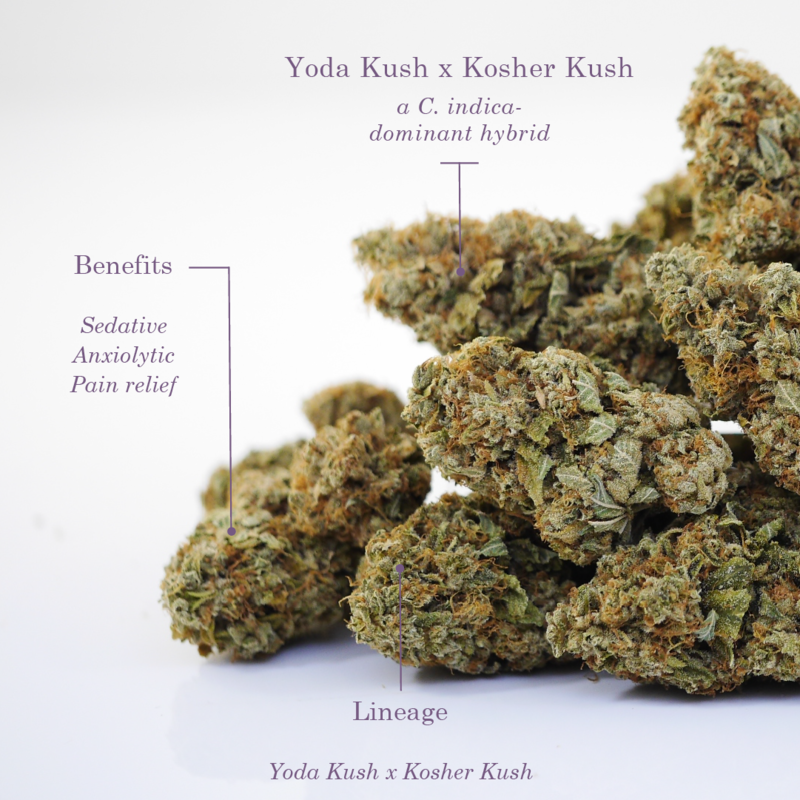 They've combined the award-winning Yoda Kush with another favorite - Kosher Kush - to create a versatile indica that may be great for those who suffer from chronic pain, stress, and sleep issues. Enjoy the sweet, earthy aroma and revel in the beautifully dense, trichome-covered flower that this batch offers! You can be sure of a smooth, pungent smoke that goes great rolled up in a joint, packed in a bowl, or even baked into some sleepy-time edibles.